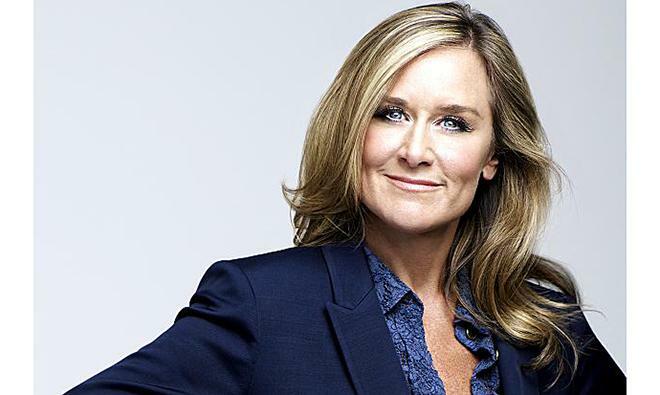 With the exact date that incoming Apple retail chief Angela Ahrendts will leave her position at Burberry still unannounced, some have speculated that the fashion executive may be delaying her departure in order to collect on Burberry share bonuses worth as much as £8 million. April marks the end of the six month period Ahrendts is contractually obligated to serve after her resignation in order to transition the business to her successor, but The Guardian believes that she may not actually leave for Cupertino until June, when she is due two separate multimillion-pound bonuses. Some have also said that she may be attempting to negotiate a deal between the two companies that would allow her to leave as soon as May while still collecting some or all of the bonuses. "It's a big sum of money. In some ways it would be good to see the business moving on after six months of handover time. You want to see clarity," Neev Capital analyst Rahul Sharma told the publication. Another factor affecting Ahrendts's departure may be the dubious regard in which creative executive Christopher Bailey, who has been tapped to succeed Ahrendts as head of the fashion house, is held by stockholders. Many are thought to believe that he is not yet ready to balance both roles and may need more time under Ahrendts's tutelage. When announcing her hire, Apple said only that Ahrendts would join the iPhone maker "in the spring," which is widely regarded as ending in May. A June start date would push the time that Apple's retail stores went without a senior-level leader to more than a year and a half after former retail chief John Browett was fired in 2012. When she does come on board, Ahrendts will take over a larger swath of the company than Browett or inaugural Apple retail executive Ron Johnson. She will oversee both the brick-and-mortar and online retail operations, the first time both channels have reported to the same executive.